between the Heaven I am bound for and the Hell I deserve. how can I be assured of my salvation. * If you missed my Special Edition post yesterday, it will give you next week’s passage and memory verse for those of you Pondering Great Passages with me. Memory Verse for the Week: “Therefore, I urge you, brothers, in view of God’s mercy, to offer your bodies as living sacrifices, holy and pleasing to God—this is your spiritual act of worship. This weeks passage is probably very familiar. Don’t let that stop you from mining it for riches that are waiting to be discovered as you ponder these verses and let God speak to you. Do I have an urgency similar to Paul’s when it comes to total surrender of my life to God? Do I really understand God’s mercy – how He has not given me what I really deserve? What parts of my body are as yet un-surrendered to God? My mind, my eyes, my tongue…? To what extent is God pleased with my “offering”? How am I conforming to the patterns of this world instead of to the Word of God? What am I intentionally doing to renew my mind? Am I being disobedient in any way to what God has revealed to me as His will? 1) I will fast from all TV for one week beginning today (Thursday thru Wednesday). It is way too easy for me to turn on the tube and turn off my mind at the end of the day. 2) I will read one great book and blog about it in the coming week. This will give me something to do when I am not watching TV and help me to think God thoughts. 3) I will find 15 minutes each of these days to pray Scripture and ask God to renew my mind. 4) I will continue reviewing my memory verses from the past 4 weeks and make sure that I can still say them. 5) And I would like to ask you to take a minute right now and pray for me – asking God to transform me by the renewing of my mind. 1) OT sacrifices went to the altar not by choice. A lamb didn’t wake up one morning and say “Today I’m going give up my life and be a sacrifice.” – I, on the other hand, have a daily choice as to whether I want to present myself to God as a sacrifice. 2) OT sacrifices were dead not living. – They did not have the option of getting off the altar whenever things became uncomfortable for them. I, on the other hand, can live an “un-surrendered life” at any time that I want. 3) OT sacrifices were to be “unblemished.” I, on the other hand, come to the alter with all kinds of blemishes. It is the willing act of surrender that God uses to make me holy and pleasing in His sight. It is God’s doing, not mine. Here’s what John Piper has to say about this: “Is it not plain therefore that there is one great task of the Christian life: Be transformed by the renewing of your mind. We need new hearts and new minds. Make the tree good and the fruit will be good (Matthew 12:33). That’s the great challenge. That is what God calls you to. You can’t do it on your own. You need Christ, who died for your sins. And you need the Holy Spirit to lead you into Christ-exalting truth and work in you truth-embracing humility. Give yourself to this. Immerse yourself in the written Word of God; saturate your mind with it. And pray that the Spirit of Christ would make you so new that the spillover would be good, acceptable, and perfect—the will of God. I’d love to read how God has been speaking to you through these verses. You can leave a comment by clicking on the bubble at the top right of this post. So next week is our “off ” week. Every four weeks we will take a break from pondering a new passage to review the four previous ones and solidify our memory verses. I’ve found one of the best ways to do this is to ask others how they are doing with their verses and then to ask them to listen to you say your verses and make sure they are right. 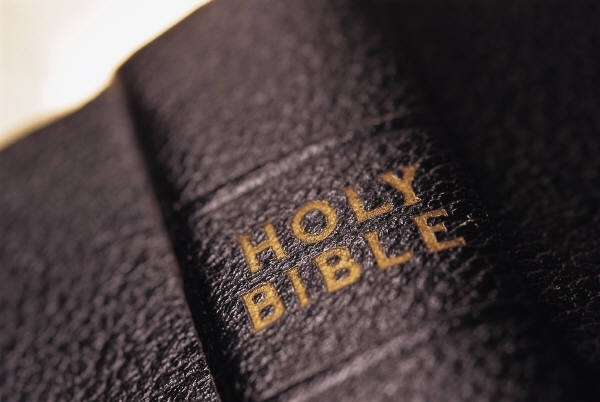 So next week look for my post on the book I’m reading as well as a “Special Edition” post that I hope will help you as we continue to move forward with pondering great passages from the New Testament. I will wait until next week to reveal the next passage so that you don’t try to get a head start. Grace and Peace to you!!! Great comments last week. Love the way ya’ll are personalizing the passages. How are you doing on your memory verses? Remember the 3 keys to effective Scripture memory: Repetition! Repetition! Repetition! As John starts off his letter you get the feeling that he has had a recent personal encounter with Jesus – when in fact it has probably been 50 years since Jesus ascended into heaven. But for John that encounter has been a fresh encounter everyday. I have to ask myself the question: Is everyday a fresh encounter with Jesus? Is He just as real and alive in me as He was when I first met Him? For John this meant that he couldn’t keep his mouth shut. Because of how Jesus was still working in him and still changing him John was compelled to proclaim – to talk about Jesus with whoever would listen. Is this true for me? I confess that I am much more likely to talk about disc golf or Duke basketball or my family or even church before I ever start talking about Jesus. 2) John calls Jesus the eternal life! – This makes me think of the verse in John 17:3 that says “Now this is eternal life – that they may know you the only true God and Jesus Christ whom you have sent.” The reason that Jesus came to rescue us was so that we might know God. It’s hard to get to know someone that you can’t see – so God clothed himself with humanity so that we could get to know Him up close and personal…. in the person of Jesus. 3) John wants others to experience the kind of fellowship that he has with other believers! – There is nothing better than being a part of a community that loves and cares for each other. People who do not have this have no idea what they are missing. I believe this is a great motive for evangelism. So many people are missing out on what the church has to offer – a community, a family, a place of belonging – instead settling for lonely, friendless, purposeless lives. 4) John wants others to experience real and lasting joy! – Not happiness but joy. I’ve heard so many people say, “I just want to be happy.” Happiness is something that comes and goes. I don’t want just to be happy, I want to be filled with joy – so that when the happiness disappears (and it will) then I will still have what it takes so that I do not fall into despair or hopelessness. Joy is found in knowing the One who has not only given us life but also given His life for us. The doctrine of the Trinity took centuries to develop, but the roots of the doctrine can be seen from the first century. The word “Trinity” is not found in the New Testament, nor is the doctrine explicitly taught there. However, foundations of the concept of the Trinity can be seen in the New Testament, especially in the Gospel of John. Nicea did not end the controversy, however. Debate over how the creed (especially the phrase “one substance”) ought to be interpreted continued to rage for decades. One group advocated the doctrine that Christ was a “similar substance” as the Father. But for the most part, the issue of the Trinity was settled at Nicea and, by the fifth century, never again became a focus of serious controversy. The doctrine of the trinity is one of the tenets of our faith that distinguishes Christianity from Mormonism, Jehovah’s Witnesses, and Judaism. If you would like to read more about this not-easily-understood doctrine then go HERE for a good, succinct treatment by the folks at Desiring God Ministries. What has the Lord been teaching you from this passage? You can post your comments by clicking on the bubble at the top right of this post. 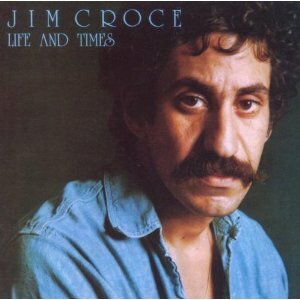 The very first album that I ever bought was Jim Croce’s Life and Times. I was 14 years old. Probably the best known song from that album was Bad, Bad, Leroy Brown. I was very sad to wake up one morning and hear on the radio that he had been killed in a plane crash at the age of 30. Other favorite songs of his that I loved included Time in a Bottle, Operator, I Got a Name, You Don’t Mess Around with Jim, and I’ll Have to Say I Love You in a Song. It was this last song that I learned on the guitar in 1979 and sang to my girlfriend Linda Tucker. It was the first time that I ever told her that I love her and began a lifelong romance that is now 32 years old and going strong. My favorite band was The Doobie Brothers. But I was also a a big fan of The Eagles, Chicago, Elton John, Marshall Tucker Band, Linda Ronstadt, Gordon Lightfoot, Seals and Croft and Jethro Tull. I still have some of those early albums. Of course this was back in the day when an album was actually an album. My early influences from Christian music included folks like Dogwood, Don Francisco, Amy Grant, and then my favorite Keith Green who I have blogged about before. My son Tucker and I play this game whenever we are in the car together – usually listening to the Oldies station. Either he or I will ask “Do you know who sings this song?” I’m amazed at how many of the songs from my generation that he knows. I also amaze myself sometimes at how many songs I can still sing even if I haven’t heard them in over 20 years. I think I amazed him (and me) the other day when we were listening to G105 and a song came on that he knew and he asked the question. Without hesitating I gave him the right answer. Nickelback. Did I really know they sang the song? Absolutely not! They were just the first band that popped into my head. For just a moment there good old dad didn’t seem so old to his 20 year old son. I guess I’m writing all this to reminisce a bit before I get too old to remember but also to make a point that you already know. Music is powerful. It can touch the soul like almost nothing else. The music we listen to will lodge in our brains and stay there forever. That’s why it’s so important to listen to the right kind of music – or perhaps better to say don’t listen to the wrong kind of music. And let God use music to lead you to His throne where not only will your soul be touched but where you can be sanctified and drawn to worship the Lover of Our Soul. *I’ve enjoyed reading everyone’s comments and have been encouraged by those who have come up to me and said this was really helping. If you are using this tool to dive in to the Word how ’bout letting me know even if you aren’t posting anything – that way I can ask you from time to time how things are going and quiz you on your memory verse.Feel free to do the same with me – the whole mutual encouragement thing. The word ‘blessed’ is used 9 times in this passage. The world’s definition of blessed goes something like this: If I am wealthy, if I am successful, if I am beautiful then I am blessed. Jesus turns this upside down. He gives a radically different definition of what it means to be blessed. What does it mean to be blessed? The Greek word is makarios. It describes the kind of joy that can’t thwarted by the circumstances of life. The kind of joy that is not dependent on financial wealth or good health or a problem free life. It is a joy that is rooted in God and that triumphs in the face of adversity. What does it mean to be poor in spirit? To realize that we are spiritually bankrupt. To understand that I have absolutely nothing that can help me win God’s favor – that I am totally and completely dependent upon God to find life and joy and strength. How is it that those who mourn will be comforted? What is it that they are mourning for? Mourning for their sin. There is a genuine sorrow in those who mourn that goes beyond just saying the words “I’m sorry.” There is heart break when one realizes what their sin has done to God and a desperate need to repent and make things right. What father would not wrap his arms around his child and comfort him when he sees this kind of mourning over sin. I need to become CONVINCED that righteousness is good for me! It’s kind of like eating more fruits and vegetables. I try to do this because I know that they are good for me. When I become convinced that righteousness is better for me than my unrighteous acts then I will crave them more. I need to understand that righteousness is a heart issue and not a “do more good stuff” issue. If I do not desire righteousness then maybe I should examine my heart and deal with its corruption. Example: If I have a clogged artery in my heart the key is NOT to do more exercise – that could kill me. The key is to get the clog cleaned out – and that requires radical and painful surgery. Don’t like the sound of that but the alternative could be devastating as well as deadly. I need to learn how to say “NO!” Titus 2:11 tells me that the grace of God teaches me to say NO to ungodliness and worldly passions. But it is up to me to say no when my desires are screaming YES. I think this is where godly friendships can be huge. I absolutely need you guys who are reading this to encourage me to pursue righteousness – because I promise you, even though I am a pastor, I have a very corrupt heart. I note also that Jesus uses the hope of heaven and FUTURE reward to encourage and motivate His listeners to live faithfully in the present – even in the midst of persecution and mourning and trouble. Like we saw with Paul last week in Ephesians 1 I get the feeling that Heaven and it’s reward is never far from the mind of Jesus. It’s as if He is moving inexorably toward a goal and NOTHING is going to keep Him from getting there. If you are interested in learning more about Heaven and what we can expect, a really good resource I can recommend is the book Heaven by Randy Alcorn as well as his blog. For those of you joining me on this adventure in pondering Scripture – glad to have you aboard. I’ve already been energized by you as you have let me know about your desire to participate. Let’s get started. This is one of the richest passages in Scripture and a great place to start our pondering. It would be very easy for us to spend more than one week on this great passage. Quite a list to praise God for. I note that none of these things have anything to do with “stuff” – material things. They are spiritual blessings – not material blessings. As I read the passage I note two reasons why God has chosen me: 1) to be holy and blameless in His sight… v.4 and 2) that I might be for the praise of His glory…v.11. Q: Am I seeking to live a holy and blameless life? What are my unholy sinkholes? This phrase “to the praise of His glory” is used 3x in these verses (6, 12, 14). Me thinks therefore that it might really be important to God that I live “to the praise of His glory.” How am I intentionally doing so? IF you have put your faith in Christ and believed the gospel, if you know that He is your Savior and that His blood covers your sins, and if your life daily reflects the fact that you are one of His “holy ones”, then you are predestined. You do not have to get hung up on whether you are one of the few that He has “elected” for His kingdom. Understanding predestination is like looking at something from 2 completely different angles. From God’s perspective we have been chosen before the beginning of time. From our perspective we made a choice by our own free will to repent and be saved. Predestination and free will are working together not against each other. The Bible affirms both. For Paul, the future is a powerful motivation for the present. Twice in this passage he talks about the future. V10 – “when the times will have reached their fulfillment,” and v14 – “…our inheritance until the redemption of those who are God’s possession.” I’m not sure that we think about Heaven enough and what it is going to be like and how we are going to react when we find ourselves in God’s presence. Perhaps if we did we would live differently.